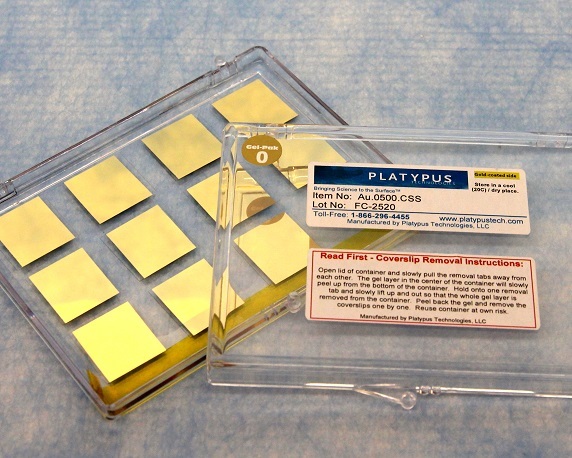 Platypus gold thin films find use in a variety of high end instrumentation including AFM, SPR, ellipsometers and goniometers. 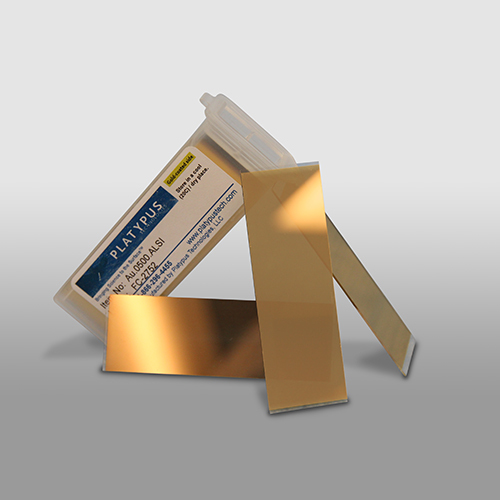 Platypus also has the capability of producing the gold thin films on silicon substrates, glass, slides, coverslips and prisms. We also help researchers achieve new plateaus of discovery by producing custom gold coatings.